Lots of Grandmasters and runners still on the Quest for their first star in Luang Prabang this weekend for the inaugural edition of the Ultra Trail. The new event follows V-Trail as the second major international trail race in Laos, and given its location has everything to become a cracker in the future. 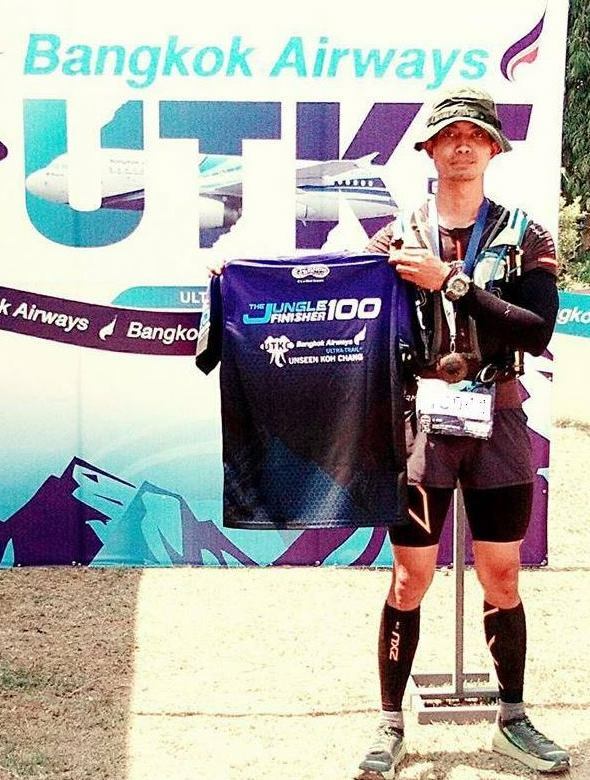 Organising company Teelakow from Thailand in any case has big plans for the development of trail running in Laos. Luang Prabang is quite a popular backpacker destination already in South East Asia, thanks to its UNESCO World Heritage status. It was the capital of the Kingdom of Laos until 1975, when political developments moved that title to Vientiane further south. The city actually consists of several villages linked together and has been preserved remarkably well. Sports is still in its infancy in Laos, in particular the leisure and mass participation industry. By means of UTLP, V Trail and more races already planned for 2020, organisers aim to develop a healthy lifestyle among its citizens as well as open up the country even more to the outside world. In V Trail last year, we already had a strong Lao runner finishing not far behind Alessandro Sherpa and Salva Rambla. Let’s see who emerges this weekend! On the start list of the 96 km - the distance that matters for the ATM Championship - we find of course current female championship leader Carrie-Jane Stander, who continues her busy schedule at the beginning of the season. UTLP will already be her fourth race, and given her consistency and solid pace over longer distances she is definitely a podium candidate as well. The Canadian in any case looks set to open up a nice points gap to her nearest competitors in the championship, which means she might stay in the leading position for quite some time with ramadan and a more quiet period from late April to mid June approaching! Another podium candidate for the women’s race in Laos this weekend is Thailand’s Montha Suntornwit - winner of Ultra Trail Chiang Rai 230 last October - and her compatriot Natthanan Matthanang. In the men’s, we will be looking at the announced return of Japan’s Wataru Iino. Iino was a familiar face in Thailand in 2017, when he finished on the podium of UTKC and UT Panoramic. His regular work schedule did not allow him to compete much in Asia last season, but he re-emerged on the ATM scene at Izu Trail Journey in his native Japan. This weekend he should be the top favourite, even though Iino has struggled with hotter temperatures before. Two of his main competitors will be the rejuvenated Michael McLean and Sukrit Kaewyoun, who both ran an excellent Dalat Ultra Trail a fortnight ago. Grandmasters Ohm Malaihom and Masafumi Yamamoto are on the start list, too. Both of them also ran and completed the Vietnam SuperTrail, and Yamamoto even claimed his 2nd Grandmaster star in that race! Britain’s Stephen Wiseman is on the verge of achieving his Grandmaster Quest as well this weekend. Stay tuned for updates from Luang Prabang during the weekend.